Love it, this recipe looks like perfect comfort food! This looks delicious! I love how easy and quick it is to make as well, great for busy weeknights! I have never had Quark so I’m excited to try it, esp with this pasta. This dish sounds delicious! Love to have a Bowl full of this amazing Pasta. The seasonings are so flavorful and my family is a lover of Pasta. This dish looks yummy too. I love that you have found a way to make a healthier creamy pasta. I love a good cream sauce, but typically don’t indulge in one. Now I can have one with quark! This looks like the perfect version of comfort food. I’ve never heard of Quark but it sounds like it would be really good. Will have to look for it. Ooh I love all the amazing cajun flavours in this. Sounds perfect alongside creamy cooling Quark. 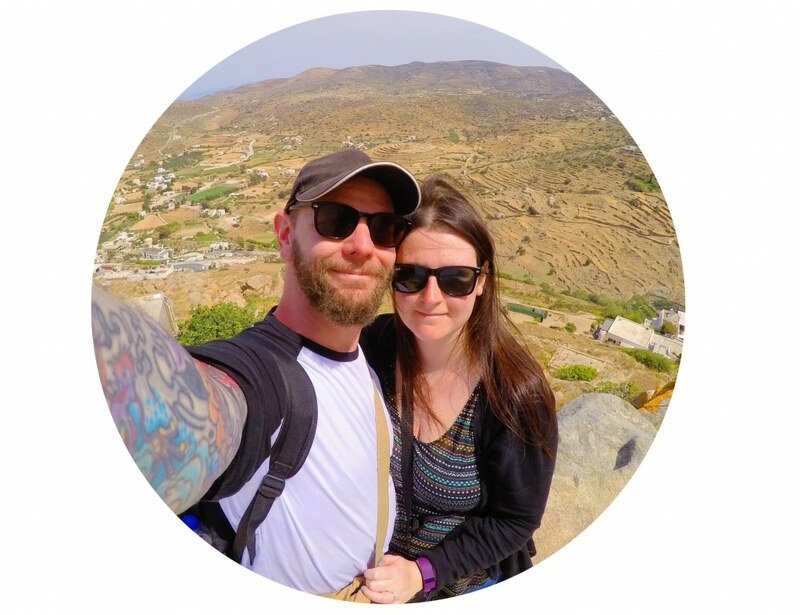 How amazing that you went to New Orleans – it’s definitely on my bucket list! I’m feeling so hungry just by looking at the first photo, haha! Thanks for introducing me to quark. Made this tonight and it was so delicious! Thank you for an easy recipe that my whole family loved! I’ll be making it again! This looks so simple and delicious, I’ve never had Cajun pasta before! Need to give it a try! Cajun pasta is one of my favourite things and this version is totally delicious! You can’t beat those warm Cajun flavours! 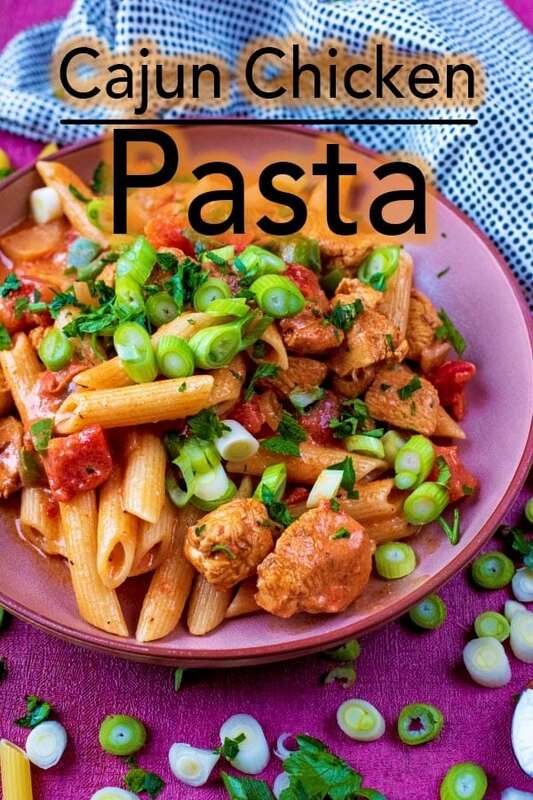 This cajun pasta looks really delicious, I’d never heard of quark before, sounds healthy and delicious, I really want to try it, will definitely look for it! I also love creamy pasta recipes but have never thought of using quark. That’s a great idea and am definitely going to try it soon. 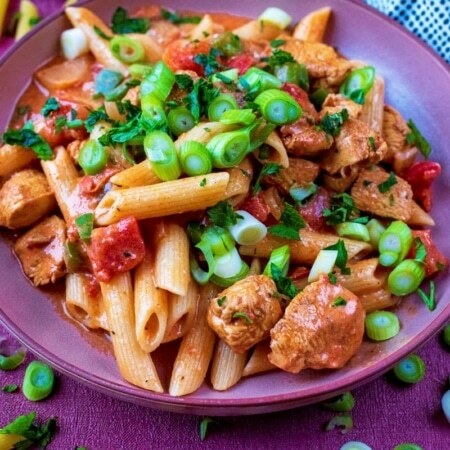 This Cajun chicken pasta looks delicious! So into anything Cajun right now! This is a definite must try! 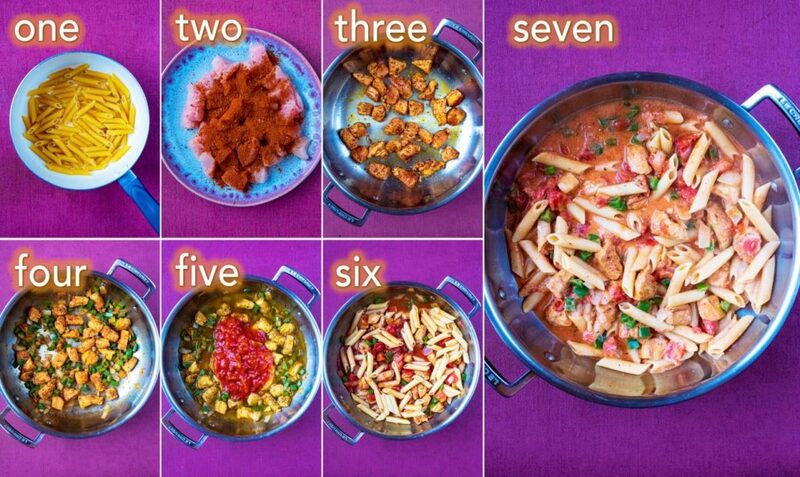 I’m always looking for new pasta recipes to try and my husband loves anything cajun…so I can’t wait to make this! Perfect weeknight dinner! So much flavor! I would love to have a plate of this! Looks delicious! I love that it is cajun!! !